The closures could see at least 2,000 staff losing their jobs. And, lo, Lewis has sated our curiosity, with a list of 18 Express, 12 Metro, seven superstores and six Homeplus stores - that's half of the non-food barns - across the country that will be shuttering their doors. 'In January I announced that our performance as a business has fallen significantly short of where we would want it to be and that to protect the future of the business in the UK we would close 43 unprofitable stores,' he said in a suitably 'feeling' statement. The Express and Homeplus stores are closing on March 15, while the Metros and superstores are shutting up on April 4. The roughly 2,000 staff at these stores are being told today that their jobs are 'at risk', according to a Tesco spokesman, although Lewis said they would offer them 'alternative roles' where 'possible'. How many would end up losing their jobs is apparently being decided during the 'consultation process,' the spokesman said. While that’s clearly not good news for the affected workers, the closures should be put into perspective. 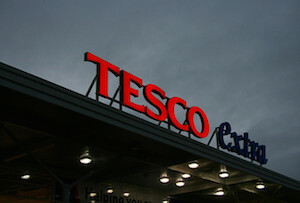 Tesco employs more than half a million people around the world and more than 310,000 in the UK, where it has 3,461 stores including franchises. These closures are just a drop in the ocean and we’ll have to wait and see what impact the cost savings will have.